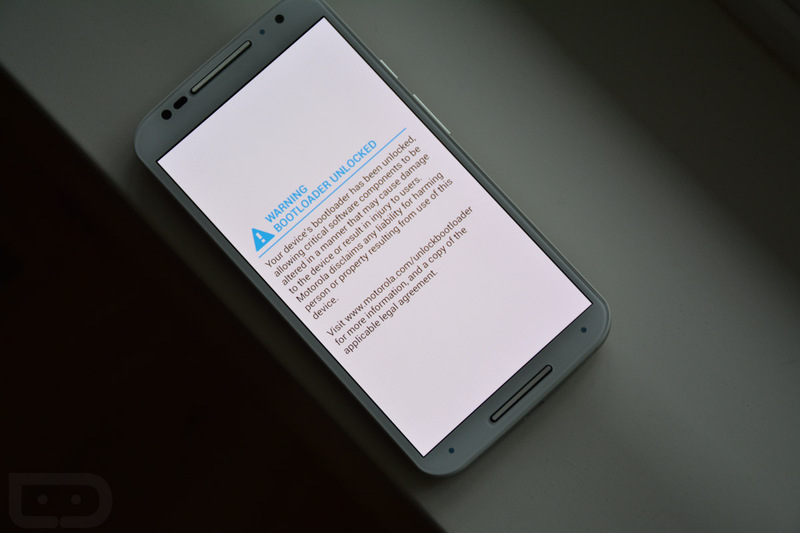 Motorola will not update the Moto X (2nd gen) on AT&T or Verizon to Marshmallow. Since Motorola has gone completely silent on this decision, we don’t really know where to place the blame. My guess is that there are a couple of reasons. One, Motorola doesn’t have the resources anymore to support either and is instead focusing on the “Pure Edition” unlocked model which they control completely. And two, they don’t want to deal with the “partner” side of it, which means they don’t want to go through the ridiculously lengthy and possibly, mostly unnecessary “testing” process from AT&T and Verizon in order to get the update out to you. Unfair or not, that’s the situation we are in. With that in mind, something is brewing in the bootloader unlock community that may be a way to Marshmallow on some level, at least for the Verizon variant of the Moto X (2nd gen). How does this relate to Marshmallow? Well, folks over at XDA, after unlocking the bootloader, are working on ways to either “convert” their Moto X (2nd gen) phones over to the Pure Edition, which is already running Android 6.0 Marshmallow, or flash something like CM13 (a custom ROM, but still Marshmallow). By converting over, at least in theory, you could then trick Motorola’s servers into sending you the official Android 6.0 Marshmallow update. There are issues here in that the Pure Edition is a GSM phone and the Moto X on Verizon is CDMA. Early attempts to make a run at this process have come up empty (with soft-bricks included). The CM13 route could be the best bet, though that is still to be determined. Either way, a bootloader unlock on this phone gives it new life after it was abandoned just a year in. This is all just happening as I type this, so if you own the Verizon variant of the Moto X (2nd gen), you may want to follow-up in all of the threads we have listed below. I would be shocked if there isn’t a solution before long.